It’s smoky. It’s spicy. It’s hearty. It’s Monday night and I’m sitting over a bowl of my favorite: red beans and rice. And this is not just any bowl of red beans, this is my special recipe; this is how I cook red beans and rice for my family. Everyone can make the claim that their red beans are the best, but I can honestly say that these are the best beans you’ll ever have. And I’m telling you the truth. To prove to you, one evening after a hard day at work, my wife sat down at the table, took her first bite, and with a sigh said: ‘I needed this.‘ This is how it is at my table on a Monday evening regardless of the type of day we had. Like I said, I make my red beans special. There is, of course, the Holy Trinity of New Orleans cooking (onions, green bell peppers, celery, and minced garlic); there’s smoked ham, smoked sausage, and a ham hock; it’s seasoned with dried thyme, red pepper flakes, white pepper, and a couple bay leaves. My red beans are always served with hot white rice and garnished with chopped green onions. Sometimes I serve up some fried chicken, and collard greens to go with them. When you have a bowl from this pot of red beans, all is right in the universe. I understand that making the claim of having the best beans around is a mighty big statement – especially from someone who has not eaten red beans their entire life and had no ‘passed-down homemade guidance‘ from a loving relative explaining what a good pot of red beans is supposed to be like. But I know what it’s supposed to be like. Through the guidance of cookbooks, online recipes, and discussions with many others that also love red beans, I’ve been able to work on my skills at preparing this traditional comfort food for my family along with learning the most important lesson in what makes a pot of red beans special. What makes my recipe so fancy that it’s considered The. Best. Red Beans. And rice. Ever? It’s not about it being just a red beans recipe. It goes beyond the recipe. That’s the lesson learned from the years of cooking this for my family, discussing it with others, and reading everything I can about this classic meal. There’s more to it than just using Camellia brand red beans (and those are the only red beans you should be using!). Red beans are all about community and tradition. That’s what makes them so special. Red beans are meant to be eaten along with family and friends – it’s a communal meal. It really doesn’t matter what red bean recipe you use (though I do recommend mine below), it only matters that you share it with others. You can be sitting at the Saturn Bar on St Claude in New Orleans and enjoying the red beans prepared by Jimmy Horn as his band, King James and the Special Men, perform; or you can enjoy the red beans cooked with beer by Neil McClure at McClure’s Barbecue inside the NOLA Brewing Tap Room on Tchoupitoulas Street; or perhaps there’s a red bean tradition forming at your house outside of the Crescent City much like it has at my own. For myself, red beans are more than just a Monday dish. They are special. They make things right. That’s why this is the best red beans recipe ever. What makes your red beans and rice recipe the greatest? 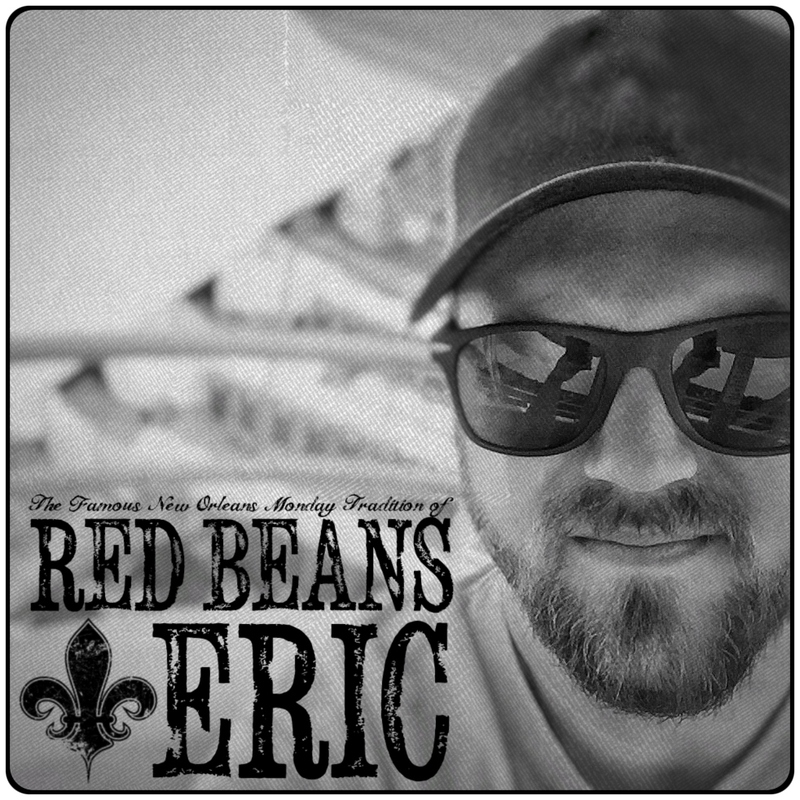 Do you have a favorite spot to grab red beans in New Orleans? Let us know in the comment section below. Heat the bacon fat or oil in a large heavy pot over medium heat and brown diced ham and smoked sausage. Add onions, green bell peppers, celery, and garlic in the pot and cook until onions become translucent; about 10 minutes. Add bay leaves, dried thyme, crushed red pepper flakes (* you can lower the amount as stated in the ingredients to prevent the meal from becoming too hot if desired), white pepper, red beans, and ham hock to the pot. Cover with water, about 6-8 cups. Bring the water to a boil, then lower the heat and cover the pot. Let the red beans simmer for about 1 hours. Occasionally stir to prevent the beans from sticking to the bottom of the pot. Remove the lid and simmer for another 2-3 hours; add water to keep the beans covered if needed. Cook the red beans until they become tender and fall apart when stirred. Remove bay leaves and ham hock from the pot. Remove any meat from the ham hock and return the meat to the pot along with seasoning the red beans with salt and pepper, if desired. To serve, place the red beans in bowls with hot white rice and garnish with green onions. Enjoy! For more information on Jimmy Horn and his band, King James and the Special Men, please visit their website at https://specialmanindustries.com. There you’ll find updated tour dates along with news on their music. McClure’s Barbecue is exclusively at NOLA Brewery located at 3001 Tchoupitoulas Street in New Orleans. For information on their menu and social media links, please visit them at http://www.mccluresbarbecue.com. 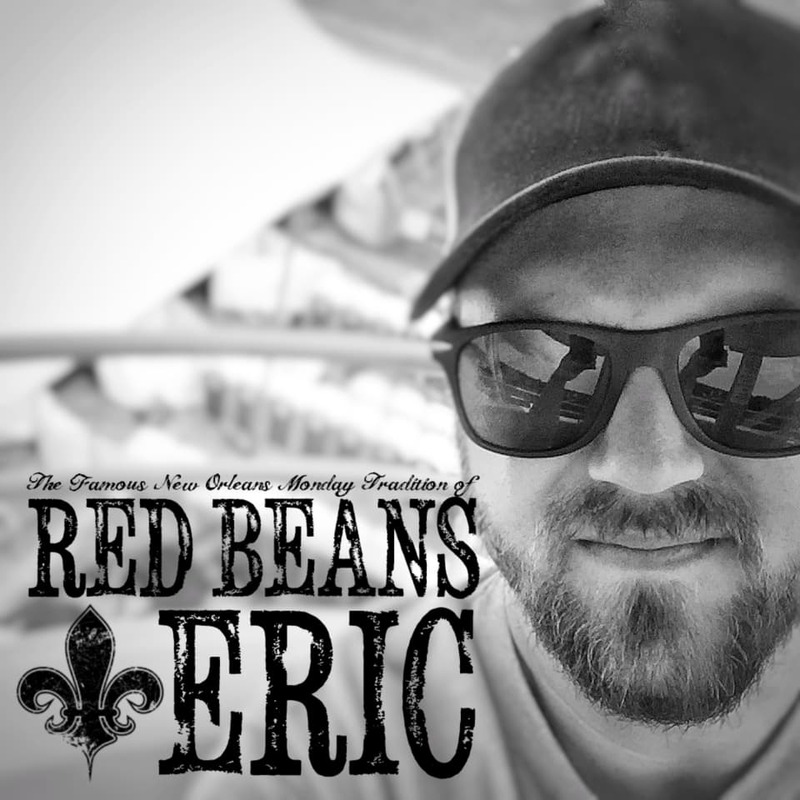 If you enjoyed this recipe, please subscribe to the Red Beans & Eric Newsletter so you don’t miss a recipe, interview, or review. For doing so, I’ll send you a free e-cookbook that includes some of the most popular recipes on the website. You can always stay in touch with me by leaving a comment in the section below, by clicking here or messaging me on any of the social media sites that I am on. If you make this recipe, tag me so I can see it! Love red beans and rice, my favorite cajun recipe, so when I make it, I make sure I use all the correct ingredients. My Camillia beans are soaking, had to order them online, can’t get them here in NC. Ordered tasso and andouille from Southside Market. So I’m looking for how much garlic to add, but can’t find it listed in the ingredients, but it is listed in the directions. So, I’m going for 3 cloves minced. I like garlic, so I could double that and it wouldn’t be too much for me. I’ll let you know how the recipe turns out, but all indications are it will be replacing my ‘ol standby recipe forever, and it’s pretty doggone good! Hi, Ben! I never noticed that I forgot to add the garlic to the ingredient list. Thanks for letting me know. I use no less than 3 cloves minced – I usually use more. Camellia beans are the best and my favorite! I also order them online or stock up when I’m down south. Did you have a Publix near you? You should be able to find them there. I hope you enjoy the recipe. Eric, this is now my go-to recipe for Red Beans and Rice! I had a pretty good one before, I thought, but this one takes it to levels I have not experienced. Part of the difference is in using the Camellia red beans and the other difference is in simmering them for 4 hrs. total. This led to a very creamy texture and the tasso and andouille being extremely tender and full of flavor. I just finished my second dish from yesterday’s leftovers, and had enough to freeze 6 more servings for later. About the only thing I could have improved on this recipe is to have made it on a Monday. That’s awesome, Ben! I’m glad that you enjoyed the recipe! Made these today. They are fantastic. The taste is truly superb. They are a little bit meatier than I would have liked, however. I will cut down on the sausage next time. My sauce is also not as thick. I will use less water as well. Yes, they are hearty. I’m glad that you like the recipe! Thanks for sharing that with me!